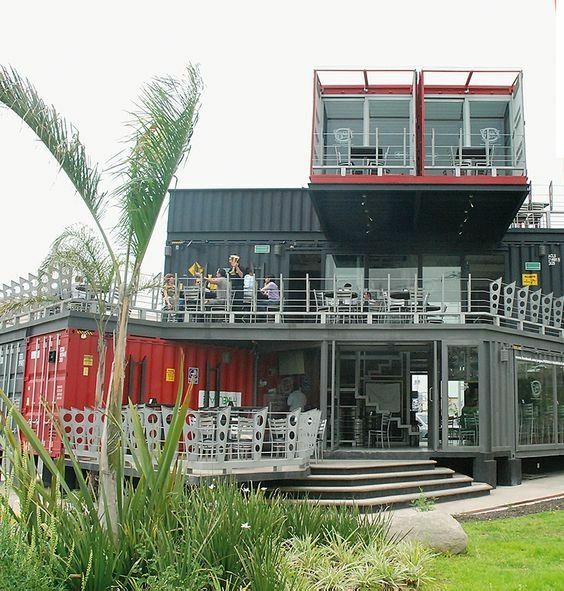 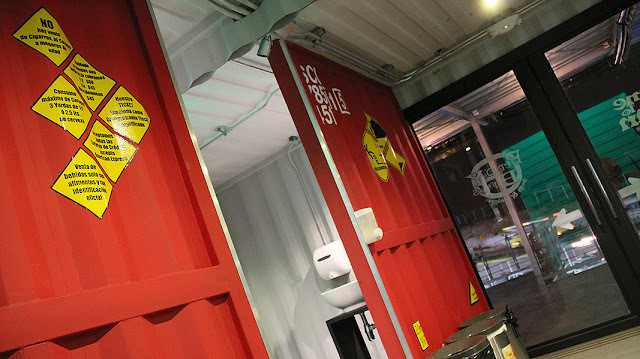 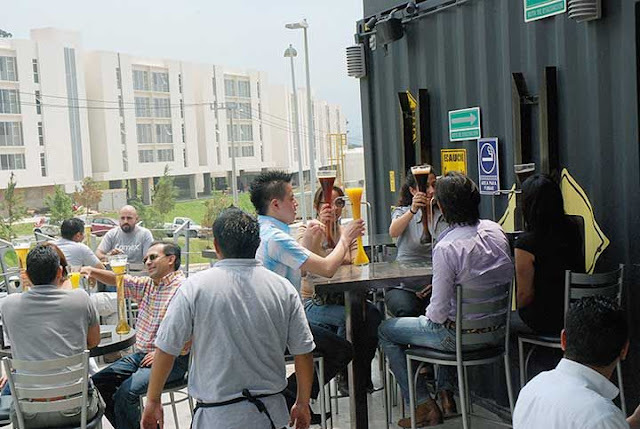 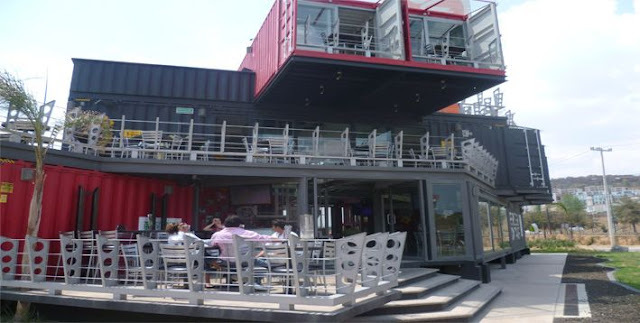 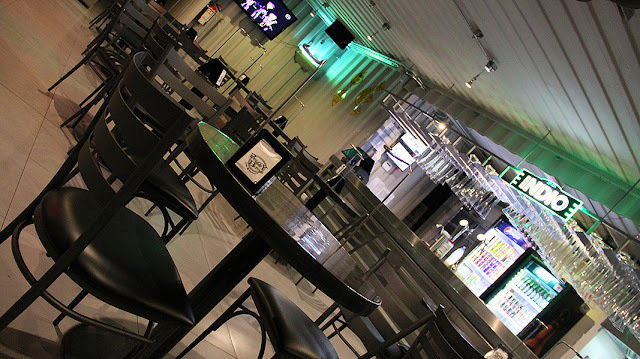 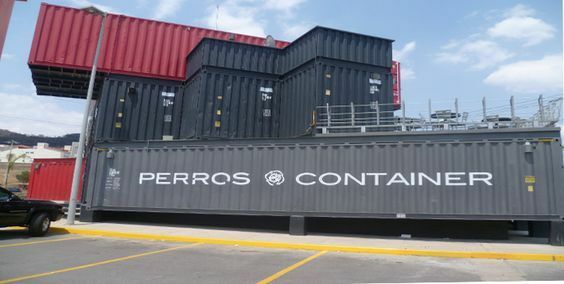 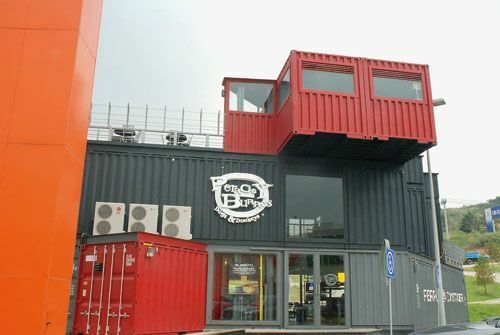 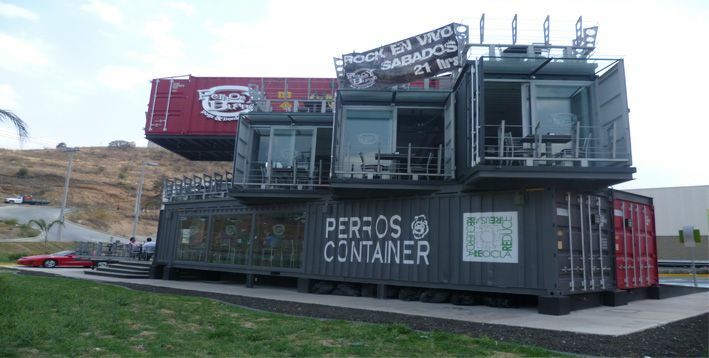 Perros Y Burros - Shipping Container Restaurant in Mexico City was build by Mexican company Container Spaces. 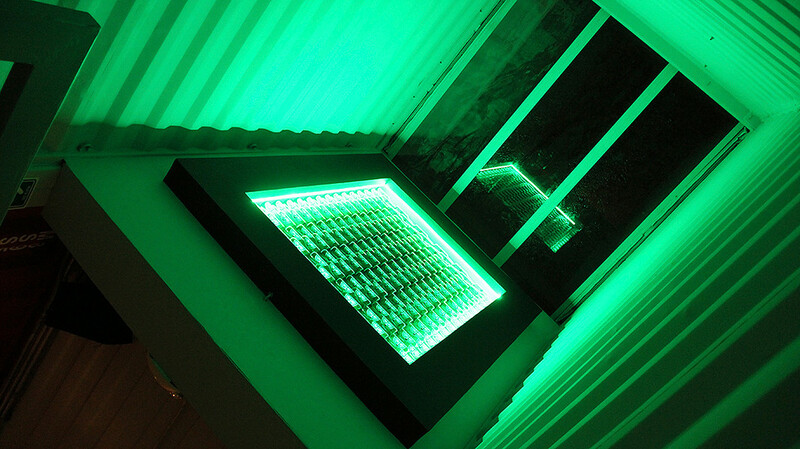 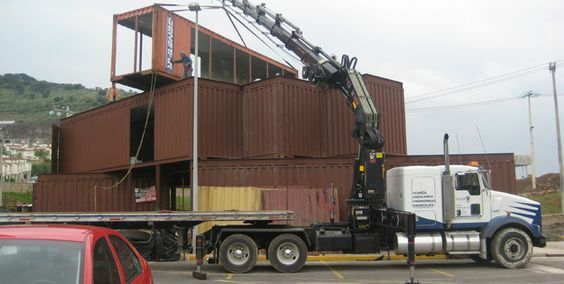 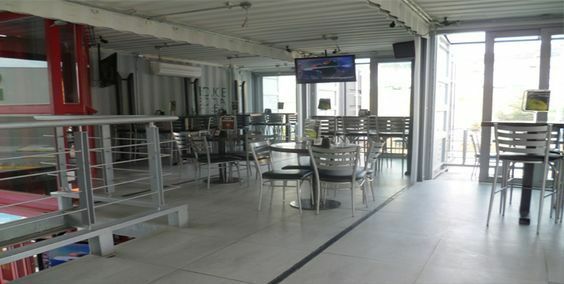 Container Spaces works with recycling materials and has an architectural approach to the re-use of ISO shipping containers as a base element for construction of modular spaces for housing and commercial use, taking advantage of its characteristics of strength, mobility and adaptability, plus count the cost-benefit aspect. 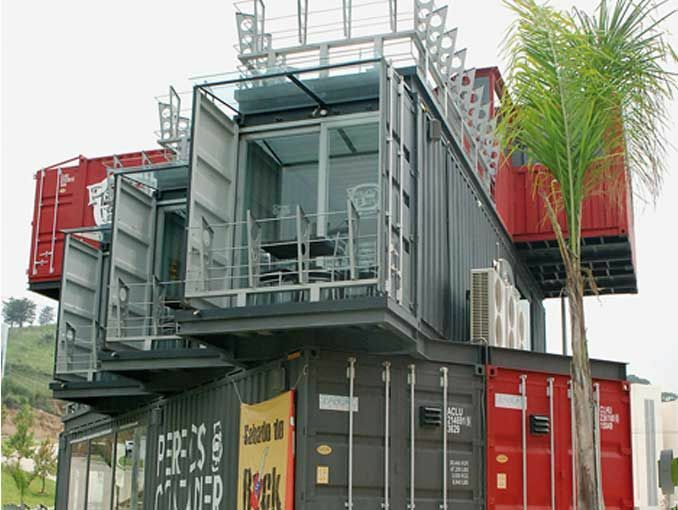 Other container buildings made of seven and more containers.